As reported by the The Canadian Press, the Canadian federal government says it doesn’t know enough about how, when, and where dangerous goods move through the Canadian North, highlighting the potential risks of a major spill or other disaster. As a result, the possible effects on public safety and the environment are also unclear, Transport Canada acknowledges. The department is commissioning a study to help fill in the knowledge gaps and improve readiness when it comes to movement of goods ranging from explosives and flammable liquids to infectious substances and radioactive materials. 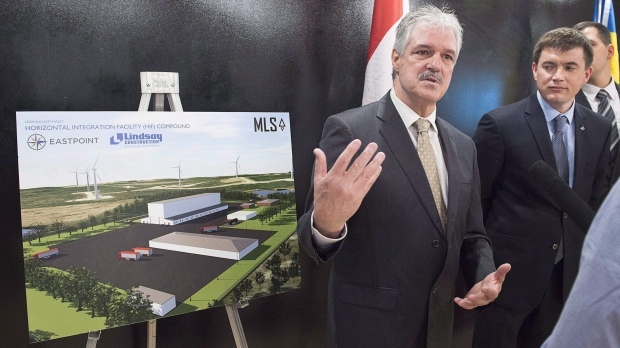 The effort will focus on regions north of the 55th parallel as well as on more southerly, but isolated, areas in eastern Manitoba and northern Ontario, says a newly issued call for bids to carry out the study. The overall goal is to fully identify the hazardous substances transported throughout these areas and the major hubs that link to relevant airports, marine ports, ice roads, railroads, mines, refining sites, manufacturing plants and warehouses. The information will help Transport Canada pinpoint potential risks and make decisions concerning safety regulations and compliance, the tender notice says. 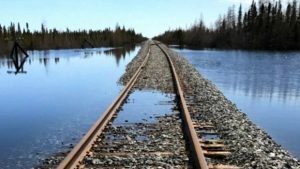 A stark reminder of the difficulty of moving goods in northern Canada came when the only rail line to Churchill, Man., was flooded and it became impossible to deliver freight overland until an ice road was built. 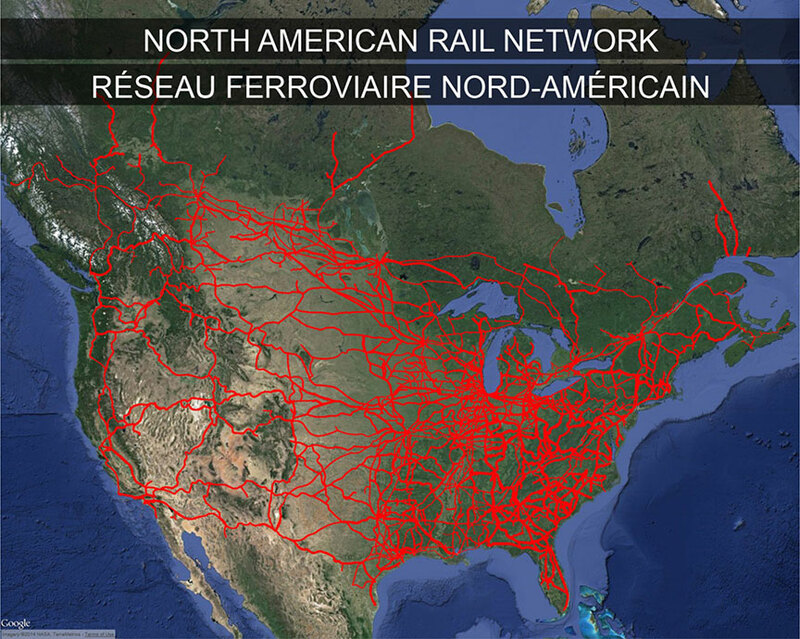 There are also virtually no freight rail lines north of the 60th parallel, except for rail access to Hay River in the Northwest Territories, the notice says. Considering the seasonal nature of ice roads and ports, there are limited routes for movement of dangerous goods in or out of northern Canada and other remote areas, it adds. The tenuous nature of northern transportation systems mean there are “gaps in information” about the kinds of dangerous goods transported, the volume of shipments and the sort of emergency response systems available. 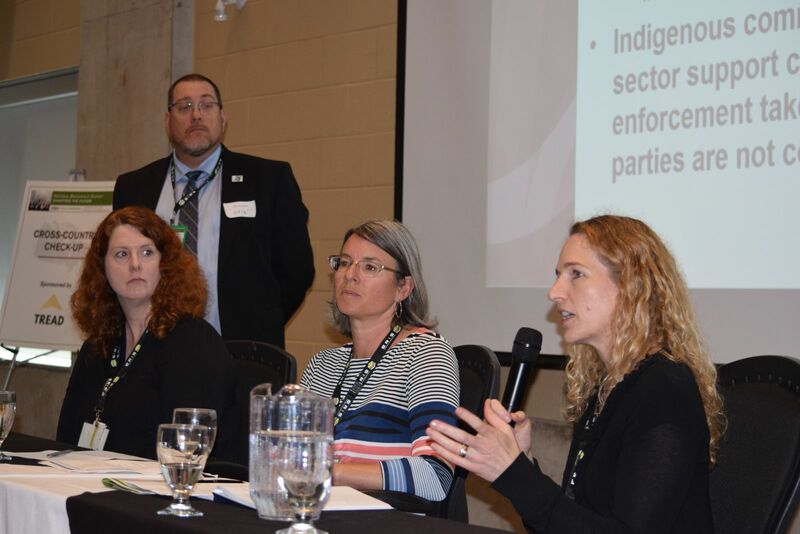 “We continuously examine ways to make transportation in Canada safer for all and this assessment is part of our effort to ensure even greater knowledge regarding the handling of goods in the North,” said Transport Canada spokeswoman Annie Joannette. She declined to provide additional information given the competitive tender process underway. The most valuable element of the exercise could be the educational process of better informing people about the risks of transporting dangerous substances, said Rob Huebert, a northern studies expert at the University of Calgary. Until now, Canada’s emergency preparedness efforts have largely been focused on maritime response and less on land-based accidents, he said. ICF (Fairfax, Va.) has agreed to acquire DMS Disaster Consultants (Boca Raton, Fla.), a disaster planning and recovery services firm, which will operate as part of ICF’s disaster management and resilience division. DMS assists public sector clients with pre-disaster services and post-disaster recovery, including the development of comprehensive insurance, risk management, and risk mitigation strategies. ICF will also get DMS’s project management software, disasTRAX. The DMS team consists of about 50 employees, including engineers, architects, adjusters, risk managers, forensic accountants and project managers. This year’s conference is about charting the future of the CBN. (Image from CBN). 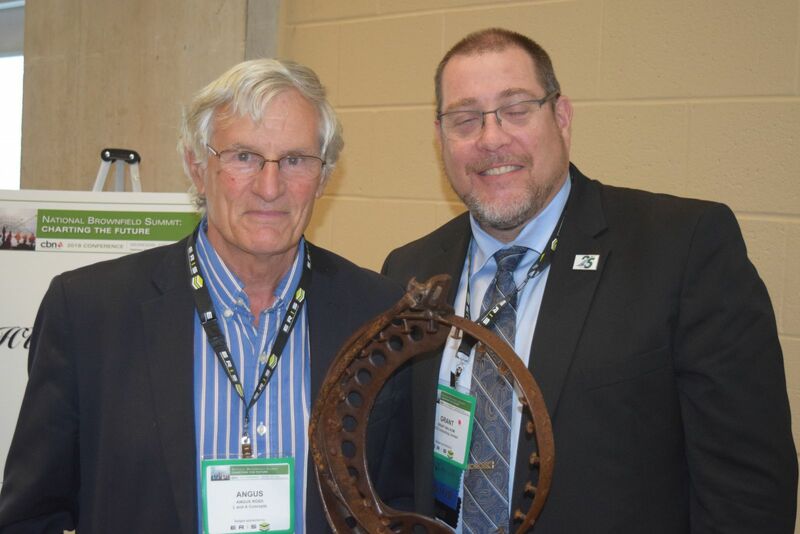 On June 13, 2018, The Canadian Brownfields Network (CBN) held their 8th annual conference, taking the form of a National Brownfield Summit. This year also marks the 15th anniversary of the 2003 National Roundtable on the Environment and the Economy report, and the cornerstone of this year’s summit was to revisit the original report and reflect on the progress since then, as well as the challenges that still need to be addressed. After an introduction by president Grant Walsom, the conference began with the keynote speaker Marlene Coffey, Executive Director of the Ontario Non-Profit Housing Association, who spoke about previous examples of the developments on Brownfields, including housing developed on a Goodyear Tires site, or the Vancouver Olympic village or Toronto Pan American housing facilities. She spoke of Toronto’s current housing crisis and how costs have outpaced income for many renters due to the market response to the economic growth in the Greater Toronto Area, as well as Hamilton and Waterloo. She also spoke about how condominium development is preferred due to the pre-selling and reselling markets providing profit and equity for the developer before and during construction. Contrast that to rental housing, where developers of must put up front all costs of development before any profits. The city of Toronto’s plan to address these concerns include building 69 000 affordable rental units within 10 years, extending the life of 260 000 units, as well as income support for 311 000 households. In addition, the federal government launched the National Housing Strategy in 2017, with $40 billion over 10 years to support affordable housing initiatives across Canada. Coffey reports that municipality participation is key to obtaining funding for affordable housing, and a role that can be played is to donate available land for development. A series of professional presentations followed, discussing various emerging investigation and remediation techniques. These included Dr. Barbara A. Zeeb discussing the use of phytotechnologies to remediate brownfield sites. She compared the traditional method of soil excavation, transport, and disposal to phytoextraction – the use of plants to remove the contaminant while leaving the soil intact and reusable, such as using natural and native species to remove organics like DDT. Other benefits include its cost effectiveness and the uptake of greenhouse gasses, but technologies are site specific, and can take years to remediate fully – highlighting the role that phytoremediation can play alongside traditional remediation methods. 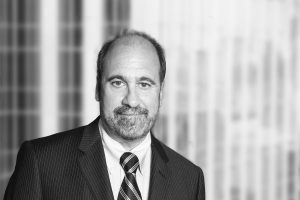 A legal update with lawyer John Georgakopoulos provided an overview of legal cases currently before the courts, with implications for the brownfield development. His presentation compared cases of regulatory liability to civil liability and about managing environmental liabilities through exercising due diligence. 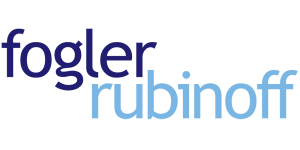 He noted, however, that due diligence plays a bigger role in regulatory liability and a smaller role in civil liability, and he encouraged environmental liability protections like environmental insurance and regulatory liability protection. Cross-Country Check-Up Panelists Kerri Skelly (front left), Lisa Fairweather (centre) and Krista Barfoot (left) with President D. Grant Walsom (back). (Photo from the CBN). A cross-country checkup with panelists from across Canada discussed the changing landscape for excess soils. 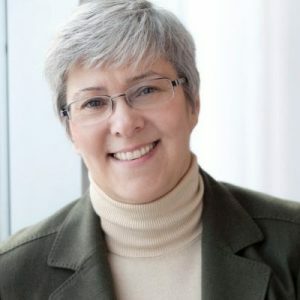 Speakers include Krista Barfoot (of Jacobs Engineering Group) speaking about Ontario’s proposed guidelines on excess soils, such as the emphasis on the use of excess soil management plans and addressing issues such as situations where there is no beneficial reuse site. Lisa Fairweather spoke about the Alberta’s Remediation Certificate and its impacts on reducing barriers to brownfields development; and Kerri Skelly spoke about British Columbia’s new excess soil regulations and its goals of clarifying rules for businesses moving soil and increasing the opportunity for soil reuse. Angus Ross (left) with Grant Walsom. (Photo from the CBN). Before breaking up into working groups, the final presentations reviewed the current state of brownfield development in Canada. Angus Ross, who chaired the original task force, discussed how the National Strategy succeeded in addressing liability issues, financial funding, and building public awareness of brownfields. A major recommendation was the formation of a national brownfield network, which led to the CBN. Reanne Ridsdale presenting the results of the CBN/Ryerson survey. (Photo from the Daily Commercial News). Following was a presentation by a Ryerson student planning studio group compared brownfield policies of each province, based on criteria such as clear policies, an accessible brownfield site inventory, and incentives for development. 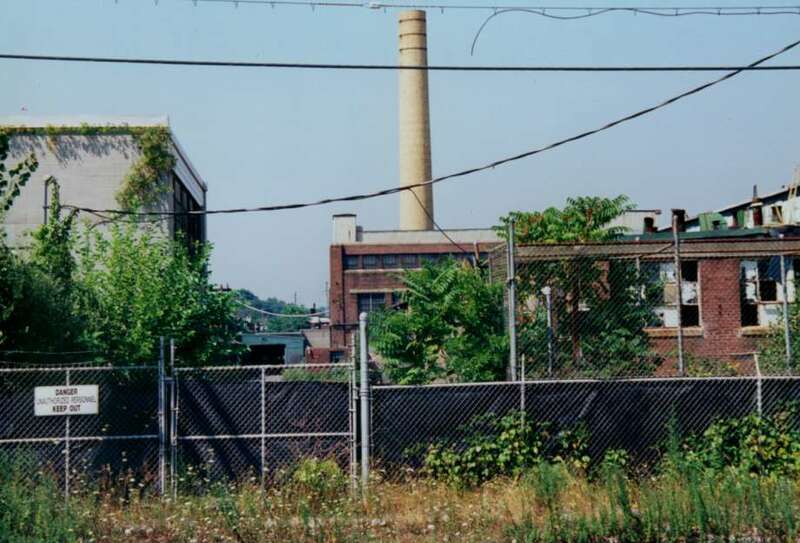 Ontario, Quebec, and British Columbia were considered to be very progressive in their policies towards brownfield development, but improvements could still be made across Canada in terms of standardizing rules and policies and producing developer friendly guidelines for site remediation. 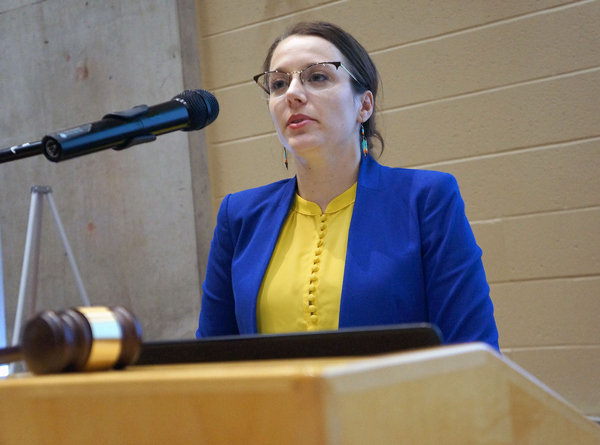 Then PhD student Reanne Ridsdale talked about the results of the CBN/Ryerson survey of the brownfield community’s view of progress in the last 15 years. Respondents indicated that the CBN is too eastern focused on central and eastern Canada, with little presence in the Prairies, as well as being too research-focussed and not conducting enough outreach. The day was capped off with breakout discussion groups to discuss “challenge questions” and allow attendees to contribute ideas to future CBN activities to advance brownfield developments. Challenge question topics included the roles of the federal, provincial, and municipal governments, the development of a brownfield inventory, innovations in brownfield developments, and the societal impacts of brownfield development on communities. One of the key discussion points was for the CBN to promote a “Put Brownfields First” mentality, particularly within governments. This includes developing a financing model/regime for governments to support brownfield developments, particularly in smaller municipalities, as well as to harmonize rules and guidelines for brownfield development. In addition, the CBN should facilitate the education of brownfields to local communities and involve land owners and developers in the process of implementing brownfield policies. The National Brownfield Summit provided an amazing opportunity for members and attendees to provide input towards the goals of the CBN. More information about the Canadian Brownfields Network can be found at https://canadianbrownfieldsnetwork.ca/ including the summit program and information about the presenters. Analytical Research Cognizance recently issued a report on the Global Emergency Spill Response Market. The report focuses on detailed segmentations of the market, combined with the qualitative and quantitative analysis of each and every aspect of the classification based on type, spill material, spill environment, vertical, and geography. The report provides a very detailed analysis of the market based on type, the emergency spill response market has been classified into products and services. The products include booms, skimmers, dispersants and dispersant products, in-situ burning products, sorbents, transfer products, radio communication products, and vacuum products. The report has a services section that provides a forecast on the future growth of the services sector. The services segment has been classified into product rental services, waste management services, manpower training services, transportation and disposal services, spill response drill and exercise services, tracking and surveillance services, risk assessments and analysis services, and other services. This report studies the Emergency Spill Response market status and outlook of global and major regions, from angles of players, countries, product types and end industries; this report analyzes the top players in global market, and splits the Emergency Spill Response market by product type and applications/end industries. 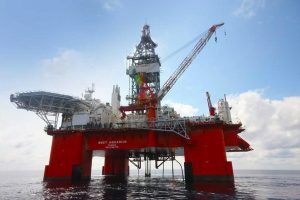 The market is expected to have significant growth in the coming years owing to stringent environmental regulations across the world to reduce the environmental pollution from spills. The global Emergency Spill Response market is valued at 2,530 million USD in 2017 and is expected to reach 3,410 million USD by the end of 2023, growing at a CAGR of 5.1% between 2017 and 2023. The Asia-Pacific will occupy for more market share in following years, especially in China, fast growing India, and Southeast Asia regions. North America, especially The United States, will still play an important role which cannot be ignored. Any changes from the United States might affect the development trend of Emergency Spill Response.